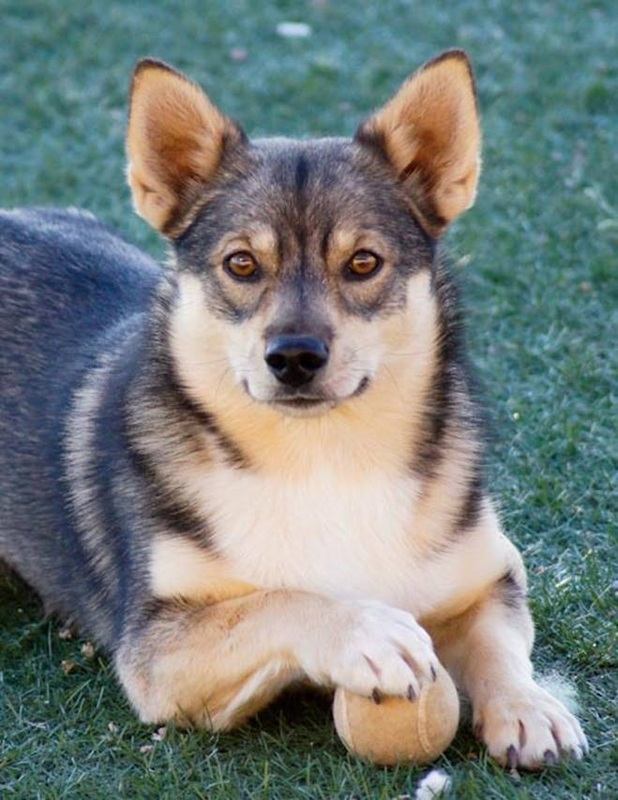 Keebler (2010-) Our introduction to the versatile Vallhund. A sable pattern seen in colors of grey through red and combinations of these colors in various shades. All are equally acceptable. Lighter shades of these colors are desirable on the chest, belly, buttocks, lower legs, feet and hocks, with darker hairs on back, neck, and sides of the body. Lighter harness markings are essential. Although a dark muzzle is acceptable, a well-defined mask with lighter hair around eyes, on muzzle and under the throat, giving a distinct contrast to the head color is highly desirable. White is permitted as a narrow blaze, neck spot, slight necklace, and white markings on the legs, and chest. White in excess of one third of the dog�s total color is a very serious fault. Any color other than described above is a very serious fault.